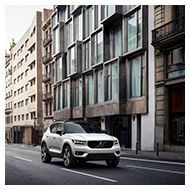 European Delivery, as part of Volvo Cars International Travelers Program, is a unique way to buy your custom-built Volvo as well as a unique way to see more of Europe. The beauty of Scandinavia, French country roads, the thrills of the German autobahns, breathtaking alpine passes, it’s all yours to discover. Travel in the comfort and safety of your own Volvo. When you’re done travelling, bring the pleasure of driving a Volvo back home. Can you think of a better way of travelling overseas and making your souvenir part of an unforgettable experience? Order the Volvo of your dreams from Nelson Baptista, European Delivery Manager at Hamilton Volvo. Pick up your new Volvo at the Gothenburg Factory Delivery Center in Sweden. Start by driving your Volvo on the roads of Sweden, then venture out on the roads of Europe to find the adventure of your lifetime. 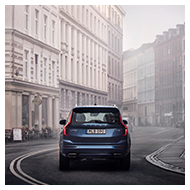 Drop off your new Volvo in Gothenburg or any official drop-off location in Europe. 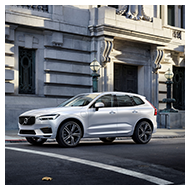 Then sit back and relax, we’ll take care of the paperwork and import duties, complimentary shipment of your vehicle back home to Hamilton Volvo.